How do they get away with these lies? 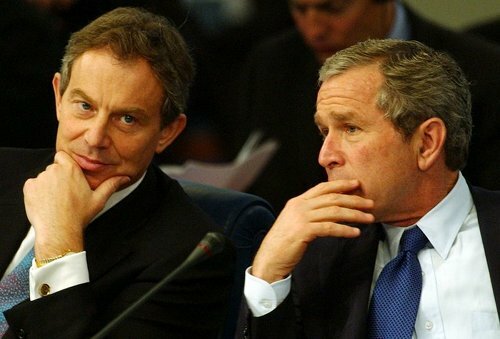 Now Tony Blair tells us that Western “inaction” in Syria has produced the Iraq crisis. But since bombing Syria would have brought to power in Damascus the very Islamists who are now threatening Baghdad, it must therefore be a mercy that Barack Obama does not listen to the likes of Blair. Having just spent several days travelling between three cities in Syria – and let’s have no illusions about the brutality of the Assad regime – I find it instructive to contemplate what Blair’s rebel chums in Syria are up to. Take the five-mile Aleppo airport road. It’s newly held by government troops, but the Islamists hold so much territory around the city that you have to first drive 16 miles in darkness to reach the city along dirt tracks and overflowing lagoons of untreated sewage and beneath a disused railway line where bright red tracer fire – from the men Blair would have us support – criss-crosses the road. Syrian troops hold checkpoints on this crazy snakes-and-ladders journey. Sometimes the Islamists are only 200 metres away. So a snapshot of Aleppo today – which would be Mosul if Blair’s friends had won and if the West had shown “action” against the Assad regime. In the streets, I find government militiamen and civilians digging 20ft-deep ditches in the streets to hunt for the ubiquitous tunnels which the Nusra and Isis forces now use to attack their enemies. Entire government buildings have exploded in government-held Aleppo. It’s a mirror world. While Assad’s helicopters drop barrel bombs on rebel bases – and lots of civilians – in northern Aleppo, the armed opposition fire mortars into the Christian district of the city. We wander along the front line; kids playing, an old man smoking a cigarette on a pile of rubble, the crash of mortars less than a mile away. A Syrian soldier removes a concrete breeze-block from an old stone wall – it is the edge of the old city – and I squint for a millisecond through the hole. A few feet away, behind rotting sandbags and broken beams, is another hole – where the rebel sniper presumably watches me. Personal history moment: almost exactly 96 years ago, my dad poked a camera above the 1918 front line in France and took a snapshot of rotting sandbags and broken trees. Major Somer of the Syrian army describes the tunnel labyrinth dug by the opposition under the old city, and the day the minaret of the great Omayed Mosque, built in the age of the Abbasids, crashed to the ground – blown up by explosives in the rebels’ tunnels, he says, though the jury is still out on this one. This is bizarre, grotesque – certainly for his enemies a few metres away – but there is no doubting the explosions around us; 16 will die here in the next few hours. One will have his head blown off that night in a restaurant half a mile away from us, a witness running into a café where we’re eating a late-night snack, shaking his head and smiling with relief. Plenty of food since the army broke the siege of Aleppo. No water for six days since the Turks sealed off the watercourse from the dam north of the border. Children and old women carry plastic tubs of the stuff from government-delivered water tanks. Father Frans van der Lugt was a martyr of Homs, refusing to leave his Christian flock and Muslim friends throughout the years of siege, imploring the world to pity the innocent and the starving until, on 7 April this year, gunmen arrived in the church garden and murdered him. They came from the Nusra forces – the Assad regime called them terrorists, the opposition said, of course, that if Assad had not besieged Homs, the 72-year-old Catholic priest would not have died. He is buried a few metres away, his grave a cheap wooden cross surrounded by flowers. From a photograph, his bespectacled face stares at us. The Pope later prayed for Van der Lugt’s soul. I suppose if the West had bombed Damascus last year – as Blair bombed Baghdad in 2003 – Father Francis might have lived. But then again, he might have been murdered much earlier by the Islamists we would have been helping. But there you go. Assad’s soldiers hold the line where Iraq’s forces initially disintegrated. Assad’s enemies are the same Nusra and al-Qa’ida fighters whom Blair’s bombing of Damascus would have helped – and who now threaten Iraq’s existence. Will the Iranians send their soldiers to defend the Shia of Iraq? A good question to ponder on a military flight from Aleppo to Damascus, in an iron seat on an old Antonov-26 among 60 Syrian soldiers, many of them wounded, the bodies of two 25-year-old conscripts in the cargo compartment, shot by snipers the previous night. A flicker of machine-gun fire comes from the darkness below, and by the time we land in Damascus, five of the “Syrians” opposite us shout a Shia prayer – in Persian. They tell us they are Afghans, Shia from the Hazara people. They are in Syrian uniform, holding rifles, an Iranian beside them. They were returning to Tehran next day. So now the Afghan Shia fight on Assad’s side – and Afghan Sunnis fight the rebels. Ah Blair, thou shouldn’t be with us at this hour.